I cant find a spindle lift kit for a 97 2wd ranger. Do they not make them or am I blind? They don't make them. 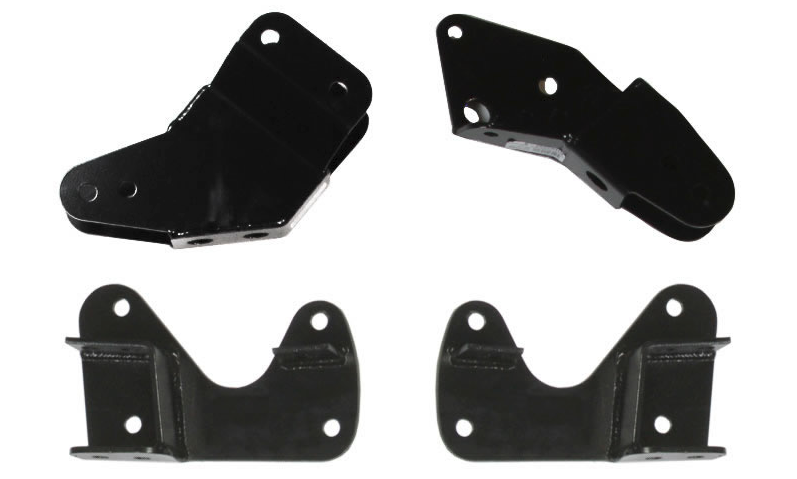 Your only option is a drop bracket kit for your beams, or a body lift. Would you mind explaining to me a bit about what a drop bracket kit does? It takes the mounting points of your front suspension (I beams and radius arms) and drops them down from your frame. They're basically like spacers for your suspension. 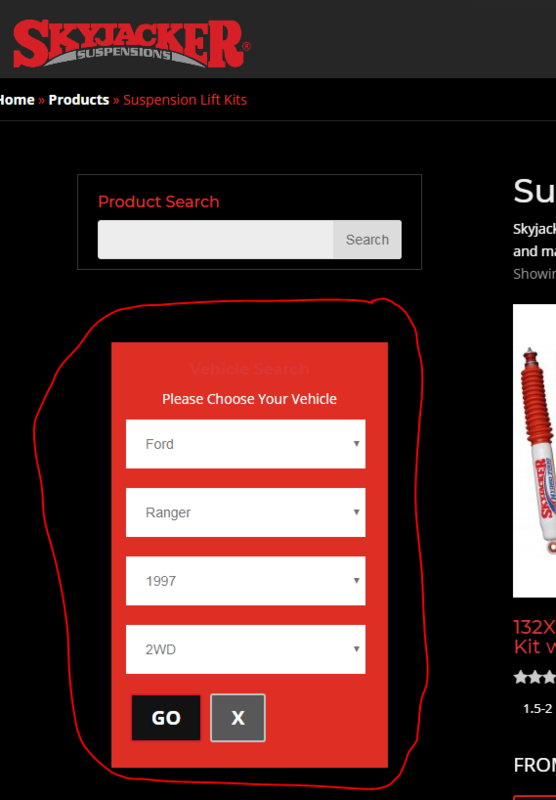 For a 2wd Ranger, you're pretty limited on manufacturer options. I know Skyjacker sells 2wd bracket kits, and you may find some other companies that sell them as well, but only a few. Oh okay. Thanks for explaining it. I'll take a look at them. These are the brackets for your rig. From what Zilla was saying, It takes the mounting points of your front suspension (I beams and radius arms) and drops them down from your frame. I was able to squeeze 31s on mine (2003) with a little trimming in stock trim, but I have A-arms, and you have I-Beams. The geometry is different as mine will stay more straight in travel up and down where yours follows the radius of the inside mount of your i-beams, so at full compression, your tires and wheels will be at negative camber; the top of the tire is angling more inward and the bottom more outward and the opposite for full droop. I don't know if you'll be rubbing the fender wells much if at all, but a lift always helps in clearing bigger meats. Just my opinion on body lifts, but ew. For the wheel wells, getting some cheap 4x6 rubber mats from home depot, cutting a few pieces to cover the gaps and riveting them in place is a good idea if you no likie the look. Spindle lift kit for 99 Ford Ranger 2wd? 2wd w/ 3" spindle lift = Max tire size? Quick Reply: Spindle lift for 2wd 97 ranger.